Visitors in Budapest will enjoy staying awhile at the House of Royal Wines and Wine Cellar Museum especially on a cold winter's day. 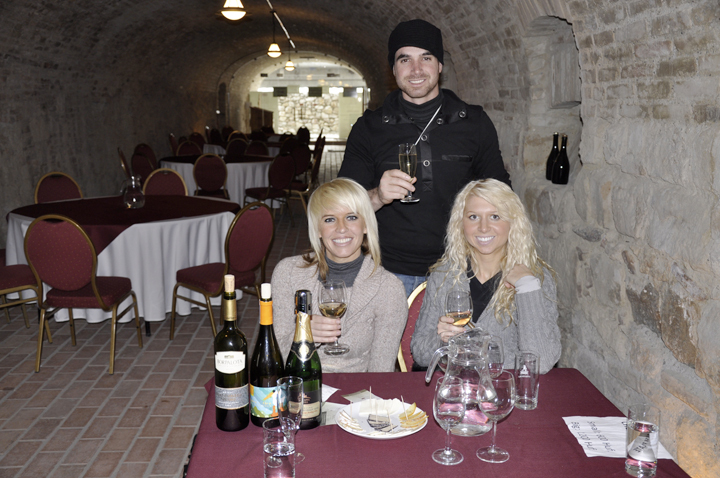 If you're on a budget, skip the tour of the museum and opt for the reasonable wine tasting. Hungary is known for several different varietals including sparkling wine like Torley, reds like Bi Ka Ver (Bulls Blood) and Tokaji (sweet wines named for the specific region in Hungary). If traveling in a group, try different tasting options per person and share. Different options include; white, reds, a combination of both, and sparkling. Always pay the few extra Euros or Forints and select the premium tasting, it is worth the extra money in taste. Small organic Hungarian cheese plates can be purchased for around 6 Euros which is an excellent complement. Included in your wine tasting (10-15 euros a piece depending on the options you choose) is an english-speaking sommelier who will take you on an informative, historical journey of Hungarian winemaking. They are very relaxed and open to questions from novices and enthusiasts alike. See this review on Trip Advisor as well. Viewed 10374 times so far.